National Biographers Day commemorates a very special meeting that led to one of the most celebrated biographies in English literature. On May 16, 1763, James Boswell met with Samuel Johnson for the first time in a Covent Garden, London bookshop. Thirty years later, Boswell, who was also a poet, essayist, editor, literary critic, and lexicographer, published his biography of Samuel Johnson. Today’s holiday honors all those who delve into the life of others to bring their often fascinating and inspiring stories to readers. To celebrate today, read up on one of your favorite people and introduce your kids to biographies—like today’s book—that can encourage them to follow their dreams. In September of 1893 Moses and Lena Baline and their six children, including 5-year-old Israel, sailed into New York Harbor hoping “to start a new life in a new country.” They came from Russia, where their home had been burned down by “gangs of angry men” who “rode from village to village in pogroms, destroying Jewish homes and hurting the people who lived in them.” In America, the Balines had a small apartment, little money, and little food. But they did have freedom. Image copyright David C. Gardner, 2018, text copyright Leslie Kimmelman, 2018. Courtesy of Sleeping Bear Press. At school, Izzy—as Israel was nicknamed—paid less attention to his schoolwork than to the music in his head. When Izzy was only thirteen, his father died. Izzy knew that money was tight, so he moved out and made his own living singing in saloons, in the chorus line of New York shows, and even as he waited tables. Irving as Izzy now called himself, became a professional song writer when he was paid 37 cents for his first song. Irving continued to write the tunes that filled his head. When Ragtime was all the rage during the early 1900s, Irving tried this new, jazzy kind of music, and his “‘Alexander’s Ragtime Band’ was a smash.” Irving married, but his wife died only a few months after their wedding. Irving consoled himself by writing. He became an American citizen, and when he was drafted into the US Army during WWI, he wrote songs to encourage his fellow soldiers. When he married again, he was inspired to write a song called “Always” about a love that lasts forever. Since Irving was too old to fight in the war, he developed a show called “This is the Army” that he took around the world to entertain the troops. His “cast was completely integrated—black and white soldiers lived, ate, and traveled together, which was rare in those days.” Even after the war ended, Irving continued to write songs that people still love today. An Author’s Note about Irving Berlin and his songs as well as books for further reading follow the text. Leslie Kimmelman brings to life the story of one of America’s most prolific and beloved song writers with enthusiasm and wit and the kinds of details that capture kids’ attention and inspire them to learn more. Timely for this year’s 100th anniversary of the writing of “God Bless America” and the 80th anniversary of its public appearance, Write On, Irving Berlin would make an excellent centerpiece of school music units when paired with Berlin’s songs, many of which kids will recognize. Berlin’s success, as revealed in Kimmelman’s well-paced, upbeat, and converstional storytelling is a powerful motivator for any child with big dreams. Write On, Irving Berlin! 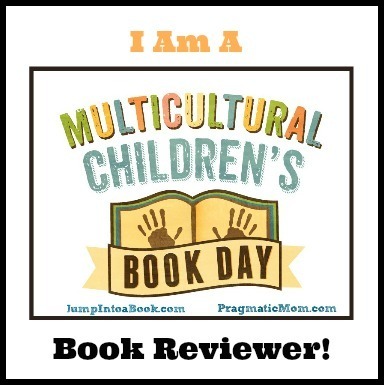 is an excellent biography that should find a home in classroom, school, and public libraries as well as on home bookshelves for children who love history, music, and biographies and who have big ideas of their own. Discover more about Leslie Kimmelman and her books on her website. To learn more about David C. Gardner, his books, and his art, visit his website. One (1) copy of Write On, Irving Berlin! To be entered to win, just Follow me on Twitter @CelebratePicBks and Retweet a giveaway tweet during this week, May 16 – 22. Already a follower? Thanks! Just retweet for a chance to win. A winner will be chosen on May 23. How well do you know yourself – or your friends? 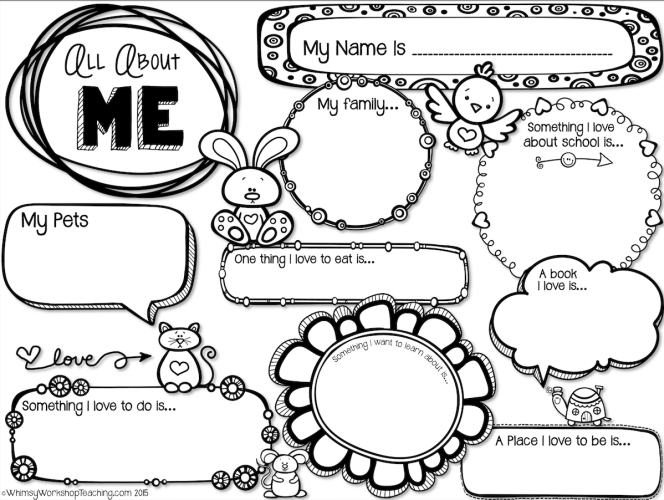 This printable I Am… Biography Page can be fun to fill out and share with friends. Make a game of it and see if you can answer the questions for someone else in your family or among your friends! Tagged David C. Gardner, Leslie Kimmelman, Patriotic Picture Books, Picture Book Biographies, Picture Book Biographies about Musicians, picture book review, Picture Books, Picture Books about Immigrants, Picture Books about Irving Berlin, Picture Books about Music, Picture Books about Song Writers, Sleeping Bear Press, Write On Irving Berlin!